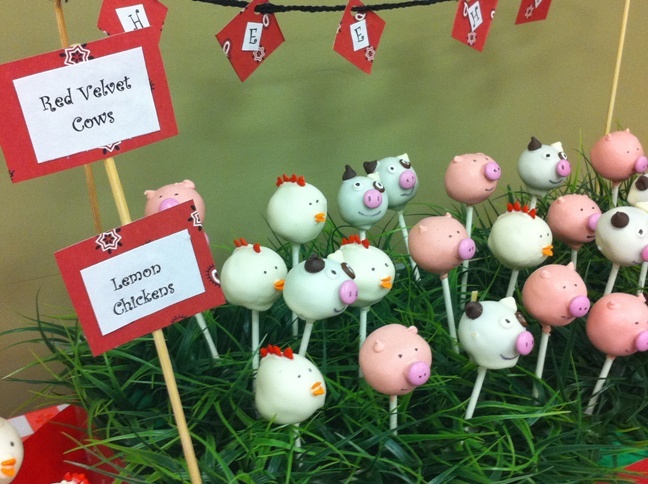 I did not make these amazing cake pops! These were made by my friend Jenni. She made them for the same church function for which I made the Funk bars. 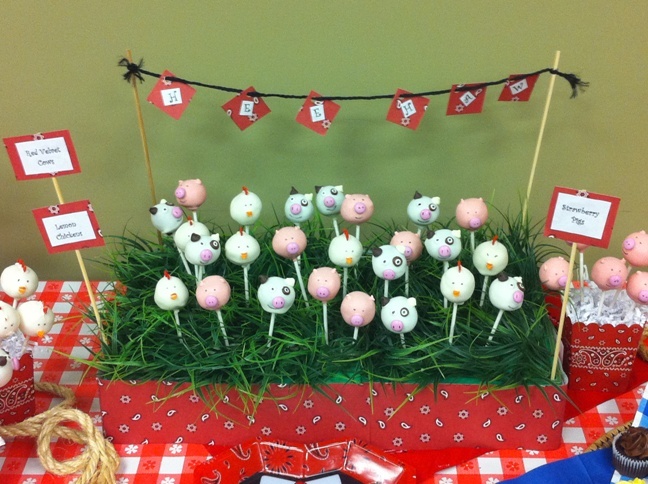 The theme of the night was Hee-Haw, so she made farm animal cake pops including a cute farm display. I think it’s obvious that this was the star dessert of the night. There were pigs, cows and chickens. Isn’t the detail amazing?!? I have no idea how long it look her to make all these. I’m sure it was not a quick process. She even made little signs to indicate that each animal was a different flavor. The pigs were strawberry (that sign was on the other side of the display). The cake pops were gone so quick. Personally I just couldn’t bring myself to eat one. I didn’t want to bite their cute heads off! 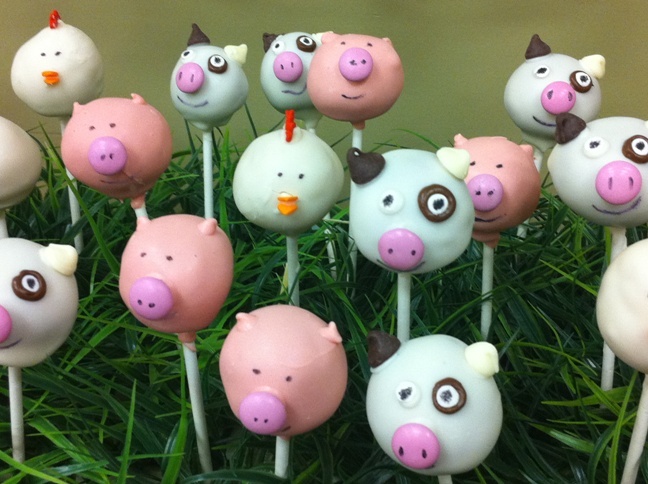 Amy Howard Lyons – You could make these animal cake pops! They are adorable! I’m going to try making sock monkey cake pops. I love your friend’s farm animals. Do you know where she bought the faux grass? I think this is the perfect display for the monkey pops. Hi I'm Amy and I like to make things at home as a way to be more healthy and eco-friendly. Strawberries, cucumbers, tomatoes, zucchini, peppers, and various herbs. © 2018 Everything is Homemade. All rights reserved. I am not a doctor or dietician. This blog is an account of my own experiences. What's right for me may not be right for you. When starting a new diet or exercise program please consult your doctor.